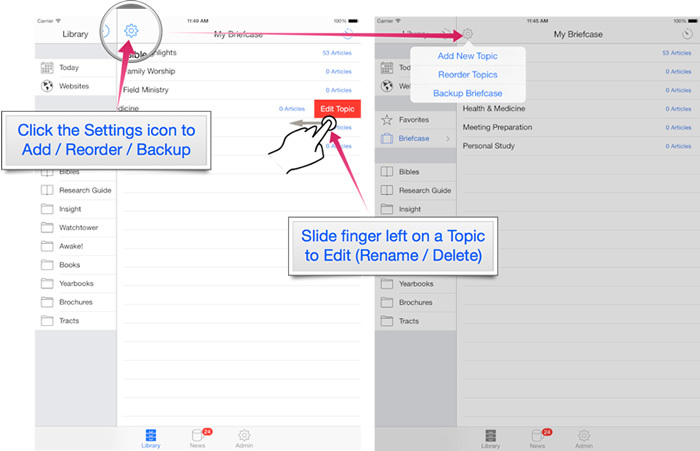 To Rename or Delete an existing Topic just slide your finger on the topic row from the right to the left and click "Edit Topic". 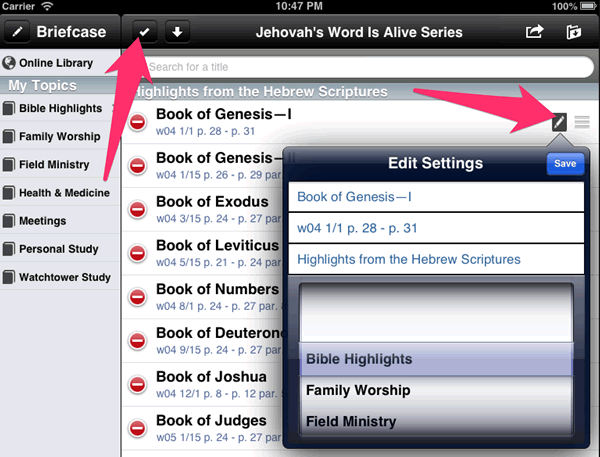 Open the Topic window - eg click on "Bible Highlights"
The secret is to look for the Edit buttons with the Pencil icons. 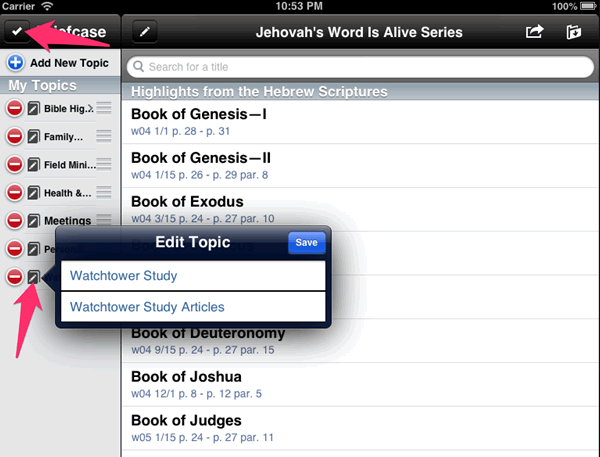 You can edit the Topics by clicking the Edit button on the black toolbar above the list of topics. You can edit your list of Articles inside a topic the same way, using the Edit button in the black toolbar above the list of articles. 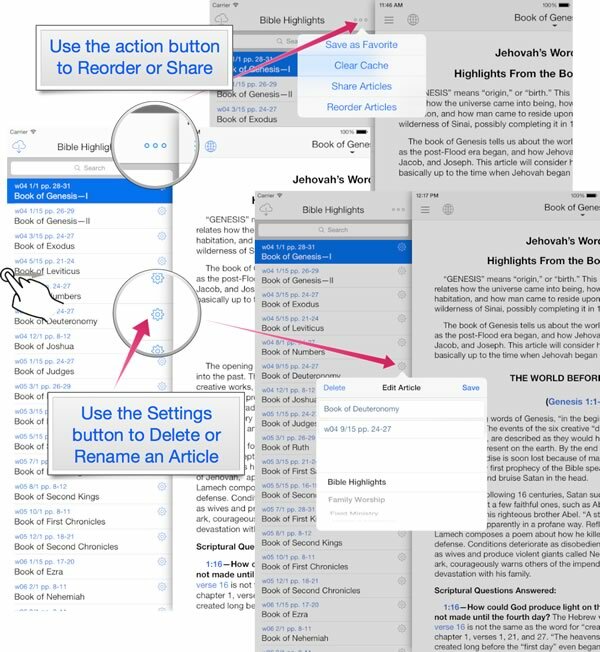 Once you toggle the button into "Edit Mode" you can update, rename, re-order and delete topics or articles.